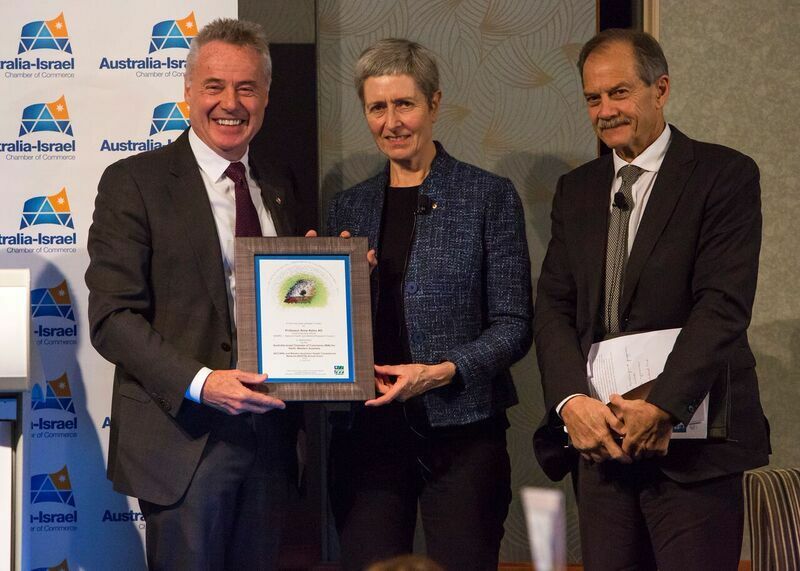 Professor Anne Kelso AO, CEO, National Health and Medical Research Council of Australia (NHMRC) was the guest speaker at the Australia Israel Chamber of Commerce (AICC) and WAHTN Annual event held on 21 July, her lecture was entitled “Medical Research in the 21st Century”. This is the first of what we hope to be an annual lecture series between AICC(WA) and WAHTN in order to bring outstanding leaders in health and medical research to Perth. Professor Anne Kelso’s lecture provided insight on the crucial role that government funding plays in the development of health research and translation enterprise in Australia. The event was attended by over 200 guests, including Minister John Day and included a Q&A session, chaired by the Chief Scientist of WA, Professor Peter Klinken. The lecture informed guests about the exiting opportunities that are helping to reshape and refocus health and medical research in Australia.